Eastern Oil Company is your full-service commercial oil heating provider. With over 70 years of experience installing, repairing, and maintaining oil heating systems for businesses throughout the greater Peekskill, NY, area, we have become the leader in our industry. We know every business is unique, but each relies on properly functioning heating equipment to perform. Here at Eastern Oil Company, serving the commercial sector is one of our specialties. 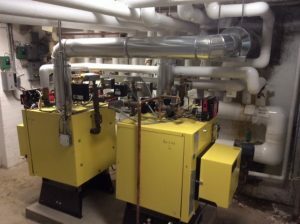 Whether your business is in need of an energy-efficient upgrade or a completely new heating system, our comprehensive oil boiler services can be customized to suit your requirements. We listen, we understand, and we respond with an operational service plan to meet the unique heating needs of your organization. Make the comfort and efficiency of your commercial space a top priority. Our heating specialists are available to assess your facility, offer recommendations, and help you to choose the right heating oil boiler for your business. Certified technicians will install your oil heating equipment properly and safely, ensuring your system is always up to code compliance. Our maintenance and repair services will extend the longevity of your equipment, reduce energy costs, and save your company money.